Norcia has always been one of my favorite little towns. So has Castelluccio and Amatrice. These three, along with several others in the area, have recently suffered immense devastation due to unpredictable - though common - earthquakes. The latest quakes were in August and October of 2016 and they were brutal. The October quake was the strongest in over 50 years, weakening (and in some cases, destroying) the structures affected by time. Close to Rome, easily accessible and absolutely picturesque (not to mention delicious! ), is how I would describe these little towns. The uniqueness of the little burgs made of stone atop hills and mountains, is part of what makes the central regions of Italy so beautiful! Umbria is landlocked and completely nestled in the Apennines (the mountain range that flows north-south along the length of "the boot"). My own parents and aunt live in the region of Umbria, very near the epicenter of the quakes. They were thankfully unaffected by the shaking, but many people were not so lucky. I spent some quality time (and purchased delicious local foods!) 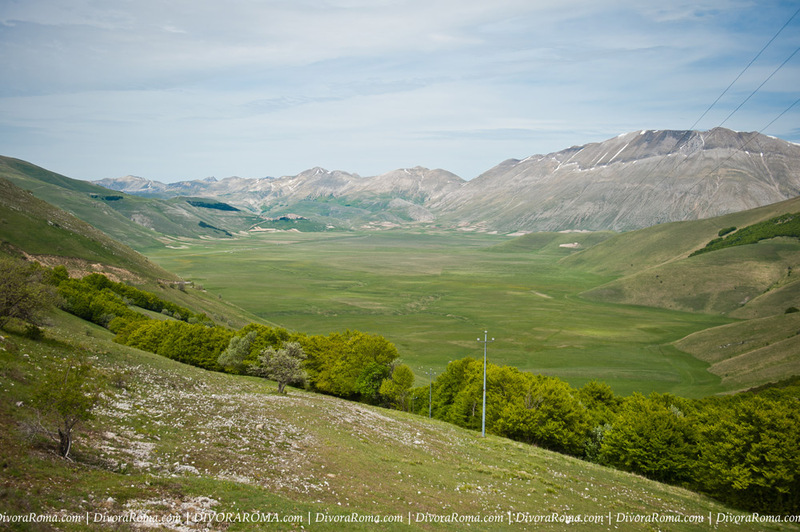 in Castelluccio, Umbria in May of 2013. It is a center for legumes (their lentils are delicious and world famous) as it towers at 4700ft of elevation above a high and expansive fertile valley (called La Piana) where the world famous lentils grow and are harvested. Castelluccio was built in the 1300s (thought it was a Roman settlement 1000 years before) and is the highest populated settlement in the Apennines. It was a burg (a small village), with a few hundred inhabitants, but visited by thousands of culinary and recreational tourists, worldwide. Today, after the October 2016 quake, it lays in ruin. Roads are broken up, buildings are rubble on the ground and only about 20 people remain to try to gather any possession they can find. It will most likely never be rebuilt as Italy has no reserves of money for this much destruction. Castelluccio is one of the burgs outside of Rome that I had on my short list of places to visit with my fellow DivoraRoma travelers. Thankfully, lentils will continue to be planted and harvested in the valley below and it's incredibly colorful blooming flowers in May/June will continue to be a spectacle not to be missed. I feel so sad for Castelluccio proper. It's memory will live on. 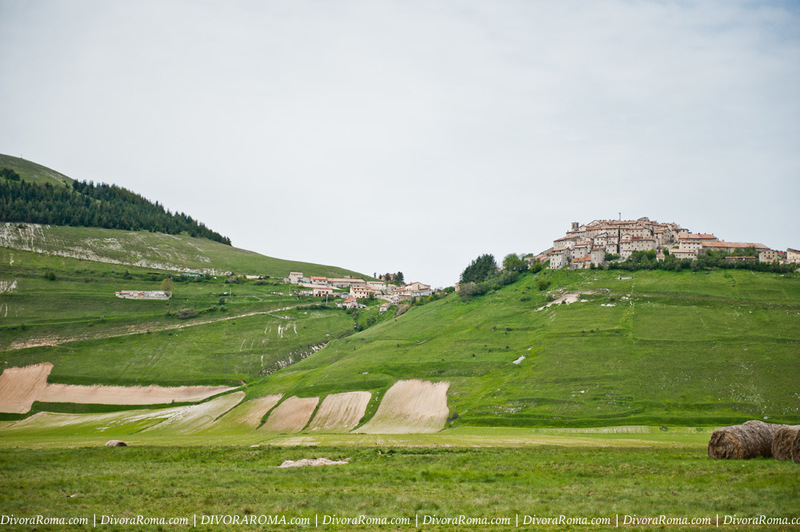 Castelluccio when I was there in May of 2013, visiting with my parents. This last image, below, is from November 1st 2016, with Castelluccio in ruin, taken from the air by the Figili Del Fuoco (Italy's firefighters) on November 1st.